Many people uses internet connections with limited amount of data that can be used per month. Therefore, bandwidth usage is very important when using internet connections. Otherwise, you have to pay more money to your ISP. There is a application called NetWorx which can be used to monitor the bandwidth usage and provide us charts for better control over our connection. In addition to monitoring bandwidth usage, Trace Route tool and the Ping tool is already integrated to NetWox, Trace Route is a network diagnostic tool which can be used to determine a path of a packet taking across the internet. Download the NetWorx using below links. 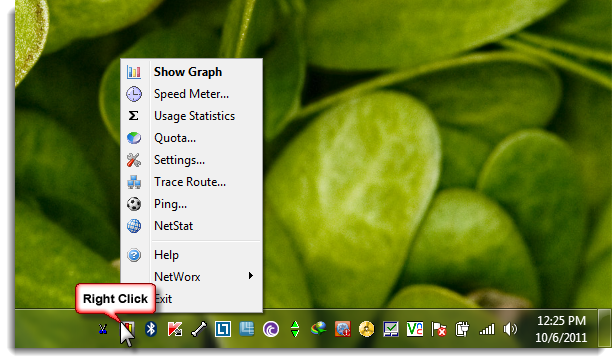 Downlaod NetWorx and install into your PC, then run it so that NetWorx is displays in the taskbar. Now, you can right click on NetWorx in the askbar to see the features of it. Here, you can click their features such as Show Graph, Speed Meter, Usage Statistics, Quota, Settings, Trace Route, Ping and NetWorx. If you click on Show Graph, it will open the window like below. 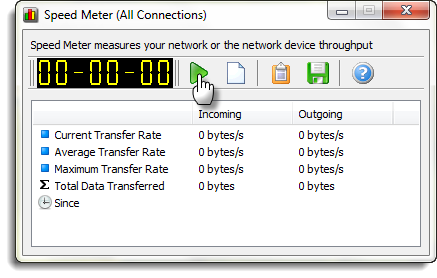 In the Speed Meter, you can click on play button to measure your network throughput as shown figure below. 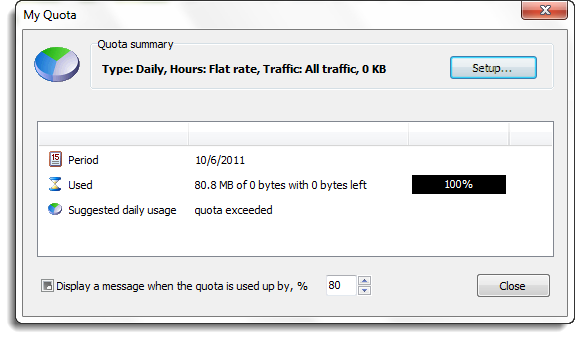 In the Usage Statistic feature, it provides your total bandwidth usage for specific time period. Using the Quota tab, you can have Notworx alerts when you reach certain amount of data usage. 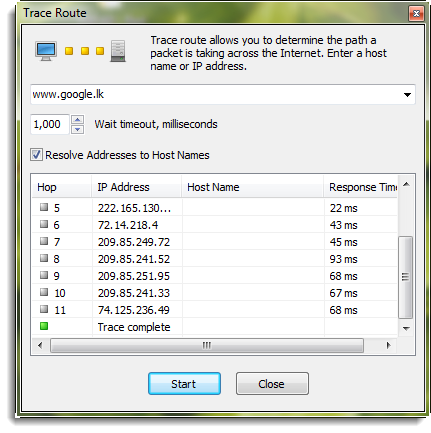 Trace Route can be used to determine the path of a packet. 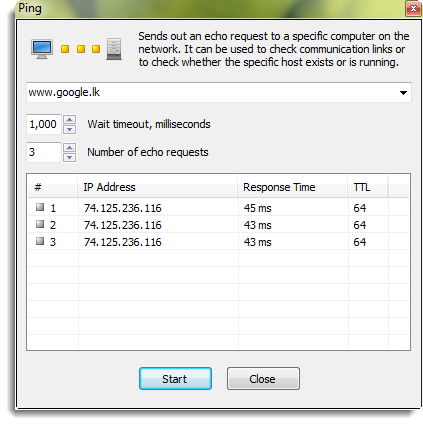 Ping is also a Computer Network diagnostic tool which can use to check network connection from a device to another device. 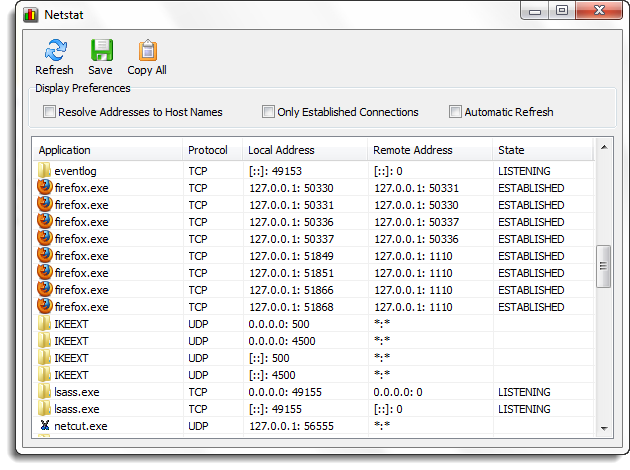 Using NetStat, you can identify what connected to your computer, that can be seen by looking the IP Address of Remote device.